Lets Salute our Nation on REPUBLIC DAY. 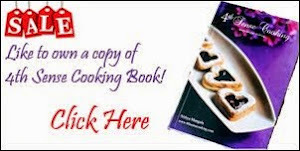 Checkout for the recipe here. Happy Republic day Nits.. a very cute post.. clicks are awesome.. Happy Republic day Nithya. Tiranga salad looks great. Beautiful dosa,very apt for the occasion.Wishing you the same. Beautiful one Nithi..Happy Republic Day.. Happy republic day nithya.. yes! 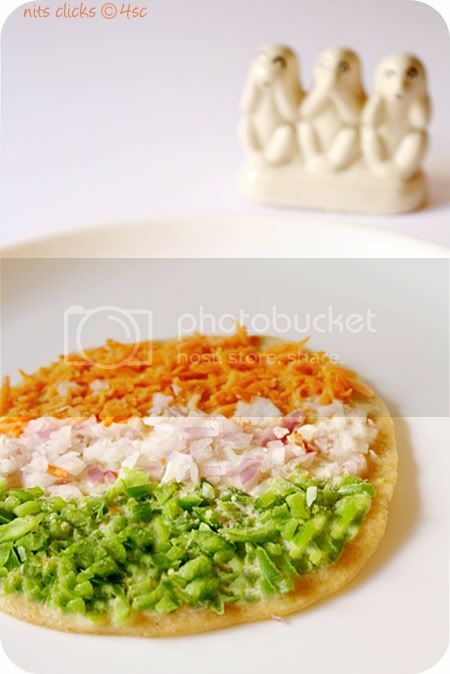 unite we stand no matter what ever diversities.. love the tri colour in the dosa..perfect! 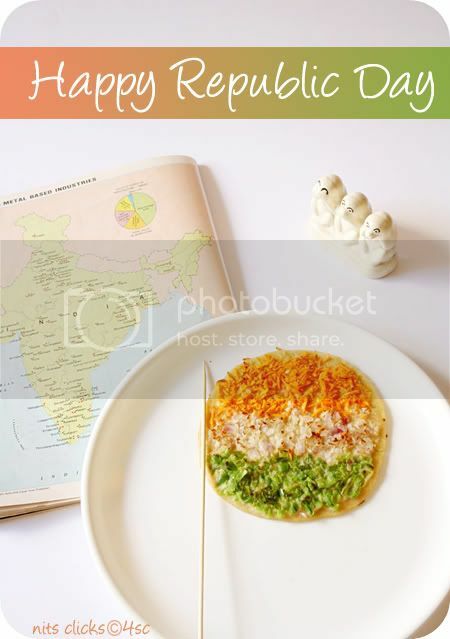 Pretty looking patriotic dosa, Happy Republic day Nithi.. Happy Republic Day! Jai Hind! the post is very sweet ! Happy Republic Day ! Lovely post, Happy republic day to you too dear.. 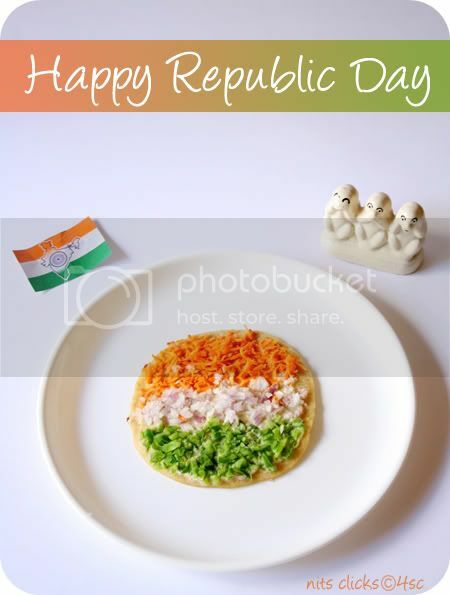 Happy Republic Day Nithi .. lovely dosa. Pretty post.Happy Rebulice Day Nithya. Happy Republic Day Dear! Amazing Clicks...Checked the recipe too gud,will try it. Happy Republic Day! !Patriotic dosa is out of this world...Jaihind!! I solemnly take the pledge , for the Republic day .. Long live our "REPUBLIC". I also pledge to eat the healthy Oats dosa , and do all my duties for my home and country very sincerely !! T20 world cup jitne se pehle har indian cricketer ko 3 crore rupaye diye gaye. Lekin Naxalwadiyo se ladte huye 76 CRPF ke jawan desh k liye shahid ho gaye aur unko Indian Govt. ne 1 Lakh rupaye dene ka sirf wada kiya hain. Hey Nits! forget to say, the oats dosa looks colourful. People will ask me, "kya Abhilash... all know that Nithya prepares the best recipes in the blog sphere and still you are mentioning it... no need"
Wish you the same dear. Love your arrangement.